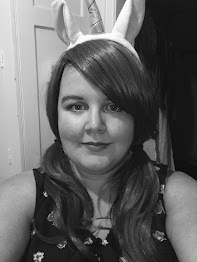 So, I originally wrote this blog a while back, but somehow Google Chrome managed to mess up so much, that it deleted it (cue moderate hissy fit!! ), so I'm having a second attempt, this time using Firefox! After seeing the video, I just instantly assumed that the guards would only be available in America, so I didn't really think anymore of it, until just over a month ago when I was scouring Ebay for some cheapy make up brushes, and I stumbled, completely out-of-the-blue across a seller of these guards, and the next thing I knew, I'd ordered a set of Extra Small ones for my eyeshadow brushes, which I have more of than any other type of brush. 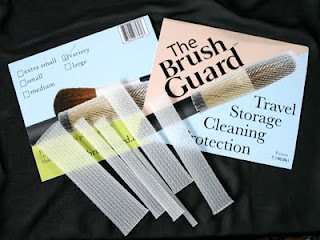 How do you use them: The Brush Guards are really simple to use. All you have to do is slide the guard over the handle of your brush, the good thing is that the guards are really flexible so no matter what shade your brush is it'll adjust to it's shape. Next pull it down until the bristles are fully covered with a little hanging over. Does it Work: Yes and no. I've noticed that when I have my brushes upside down in my brush pot, and I come to take them out the brushes have been pushed partially out, which has encouraged bristles to get stuck in the holes of the guards, which makes them a little disformed. However, I love the way that as long as the brush doesn't move within the guard, they dry is perfect shape, as if they're brand new. Would I buy more? Definitely. I'm definitely going to be getting some larger ones for my foundation and concealer brushes. I strongly recommend everyone gets these guards, because it is so important to keep your brushes clean, and these help do that, and keep them in shape (most of the time).